Sake history started approximately 2000 years ago when rice was introduced to Japan by South East of Asia. The sake was predominantly used only as an offering for Gods or Kings previously. Approximately 500 years ago finally sake become a more common drink for people eventually. The premise of sake is that the simplest thing is the most difficult to make perfectly. ingredients combined with a incredible history and immense amount of techniques in preparation. Pride, true personal passion and in many cases multiple generations of crafting have created this magical drink of Sake. Additionally many people feel sake is only served as a warm drink? In actual fact true high quality sake is served cold, warm or at times even hot depending on both the sake itself and the pallet and preference of the consumer. There truly are no rules. Sake is an extremely unique alcohol beverage with a very rich history. It is admired more and more around the world as it promptly grows in popularity. Manami truly hopes that you allow yourself to think about sake differently. Try it warm, try it cold just enjoy the goodness sake has to offer alongside your next culinary experience. Manami Sei is a Certified Japanese sake sommelier/specialist with a deep passion and love for sake and fine food. Growing up in her family restaurant business Manami was introduced at a very early age to fine food and sake. This was not only an introduction but a lifelong family lesson about the true passion for quality for the endless pursuit for perfection. Manami's life in Canada started in 2005. After graduating from Musashino Art University Tokyo Japan with a major in Commercial Space Design she decided to travel to Canada to chase her dream of learning English. After moving to Vancouver Manami quickly realized that there was such a varying quality of life here. Having lived Tokyo for many years she learned a great deal about the food culture and had no idea Vancouver had so much to offer for such a small city? She instantly felt at home in Vancouver and the diversity of the people here only complimented the diversity of the food scene. Since moving to Vancouver 8 years ago Manami has been chasing her dream of owning her own business. 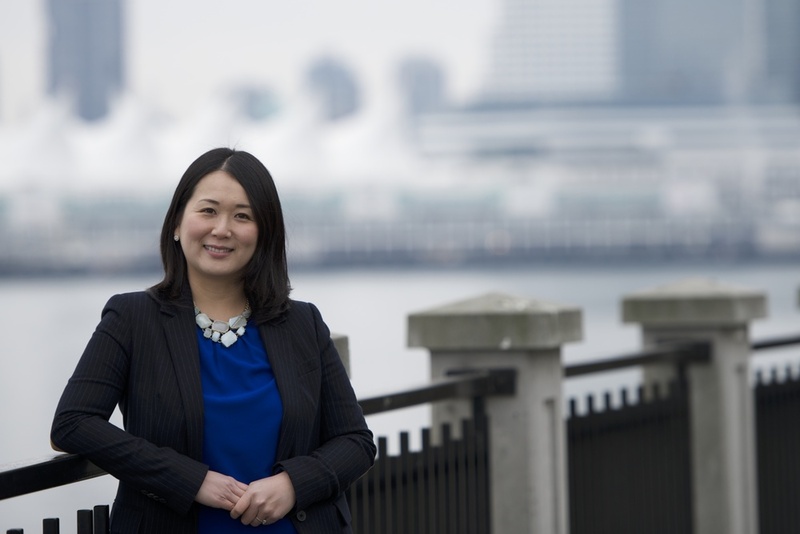 She intended on establishing a business that would compliment Vancouver's culture and food industry but also show tribute and support her home country of Japan. On a perfect spring day in Tokyo a few years back Manami had a moment that she realized she found something she had loved her entire life. At a quaint little restaurant in the a small corner of Shibuya city in Tokyo she had a glass of the most memorable sake she ever tasted. Manami felt so much love, so much life, and so much energy and passion in this one tiny glass of sake. Later that same night she decided this was so much more than a fondness but her own true passion and would mark the point and journey to the next chapter of her life. She soon understood this dream would be her focus for her business here in Canada. Manami decided that she would create and build a better awareness of what Sake both stood for and had to offer its fortunate recipients. Manami's focus would be to educate local people that Sake was not only for pairing with Japanese food but with all types of food and especially the the culinary diversity offered here in Vancouver.